Legislative advocacy is a key objective for SCSBA, and providing timely information to board members throughout the state is a top priority. So each fall, the SCSBA legislative team hosts a webinar to discuss the education issues likely to be debated when the General Assembly returns in January. An overview of the issues and talking points are provided during the webinar to prepare school boards and other public school advocates for meetings that may occur with local legislators in November or December before the legislative session begins. Board members, administrators, and other advocates can view the webinar at their district offices or on a computer at home. To view the archived October 30, 2018 Legislative Preview Webinar, click here. Download the 2018 webinar handout here. Download the 2018 webinar flyer here. This workshop takes place online. Board members who participate will earn 1 point and 1 hour of credit in the SCSBA Boardmanship Institute. Board secretar­ies must email the names of participating board members to Gwen Hampton, Director of Leadership Development, by Friday, November 16. 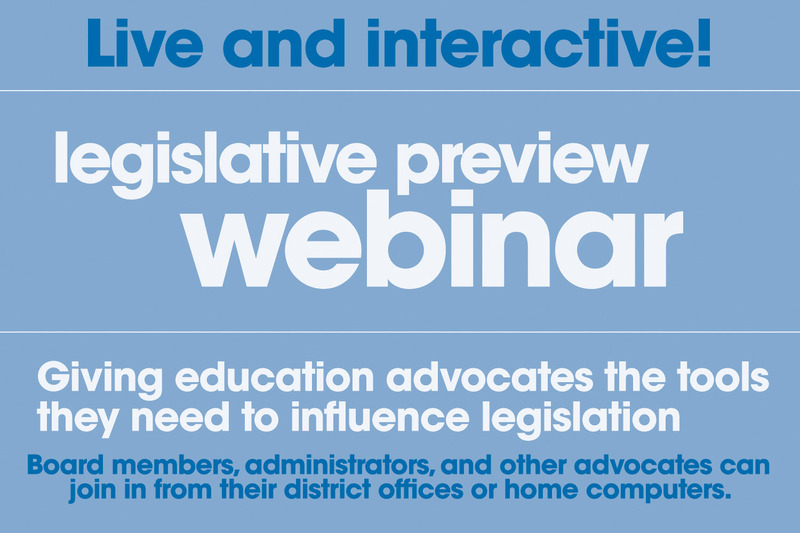 View the archived 2018 Legislative Preview Webinar here.